TeamHope Speech and Pediatric Therapy Center offers comprehensive, integrated, multidisciplinary evaluations and treatment services for children with autism, developmental disabilities, special needs, and learning disabilities. Welcome to TeamHope. In addition to assessment and diagnoses, TeamHope provides individualized care plans for each child based on our Clinical Director's extensive clinical experience with these populations. Her unique care plans may combine a variety of therapies, among them speech/language, feeding, myofunctional therapy, PROMPT, sensory integration, occupational therapy, physical therapy, play therapy, social thinking groups, verbal behavior, and ABA instruction. TeamHope has demonstrated a commitment to the ASD community with a reputation that is highly regarded among a variety of specialists that serve as a frequent referral source. This standard of excellence in care and treatment philosophy is grounded in the best practice guidelines that dictate that an appropriate intervention program should consider many different components to successfully treat the unique pattern of challenges and strengths of autistic children and their families. With a commitment to a developmentally based philosophy, TeamHope is adept at combining the best of both the developmental and behavioral approaches. As always, TeamHope maintains a dedicated, highly trained and specialized staff with expertise in their chosen fields. TeamHope provides therapeutic services to the pediatric population with a focus on Autism /PDD, Motor Speech Disorders, Fine and Gross Motor Delays, Sensory Disorders, Phonological/Articulation Disorders, Visual Perceptional Disorders, & Feeding Therapy. Our academically based services address a range of Literacy and Learning Disabilities. The TeamHope therapeutic approach is strongly influenced by developmental principles and the importance of the motor system to the acquisition of speech/language skills. The guiding principles of our feeding therapy incorporates a triad of components that address motor skills, sensory tolerance and behavioral responses. Our ability to think "out of the box" and integrate various methodologies is one of the strengths of the TeamHope therapeutic approach. TeamHope strives to provide their families with a level of excellence that includes superior support in navigating clinical, academic, legal & financial issues. TeamHope's therapy is provided in a play based, child friendly environment at our center. Services are also available for home and school based settings. TeamHope has extensive experience treating pediatric, elementary and adolescent age children. 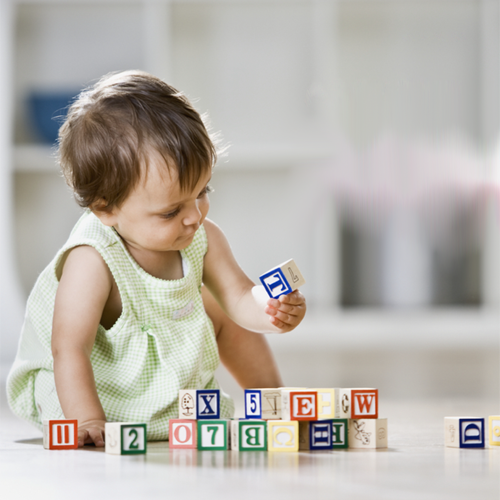 We specialize in Early Intervention (0-3) and therapy is often appropriate for children younger then 18 months of age. Parents are encouraged to seek out qualified, licensed, clinical therapists when necessary to make these determinations. The TeamHope staff consists of SLPs, OTs, PTs, BCBAs, Special Educators, Teachers of the Handicapped, Reading Specialists, LDTCs & Psychologists. School Districts: TeamHope is available to provide you with supplemental services and home programming. TeamHope can also handle any insurance claims that may arise from service provisions.